FORT LAUDERDALE, Fla. (KABC) -- Multiple people were killed and injured after a gunman opened fire at the Fort Lauderdale-Hollywood International Airport. Here's what we know so far. At least five people were killed and eight others were wounded, Broward County Sheriff's Office said. The shooting happened in a baggage claim area of Terminal 2, federal sources told ABC News, and TSA officials said the area was "not secure." The terminal was evacuated until about 11:30 a.m. PST. 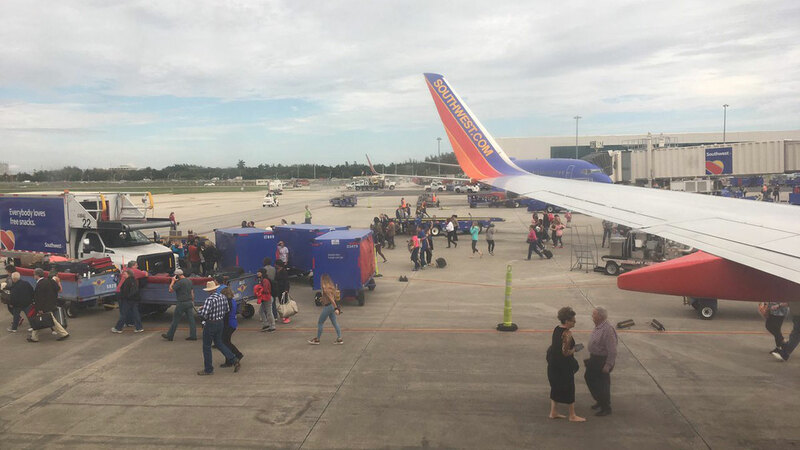 It was later "repopulated" and all passengers were being rescreened, TSA officials said. Witnesses said the gunman shouted "I'm not Jewish," repeatedly, as he held a "long gun" and opened fire indiscriminately. Once he got off the plane, officials said he claimed his checked baggage, went into a restroom and came out shooting. The gunman has been taken into custody. ABC News confirmed the shooter's name is Esteban Santiago, per law enforcement sources. The Army Criminal Investigation Division said Santiago was honorably discharged from the Army National Guard in 2016. He worked as a combat engineer. Authorities said in an afternoon press conference Santiago had a legally-checked gun in his luggage. He has a recent address listed in Anchorage, Alaska. Broward County sheriff's officials said the suspect was not harmed and was taken into custody without incident. He was being interviewed by sheriff's detectives and FBI investigators. Fort Lauderdale Mayor Jack Seiler said there was only one shooter behind the attack. Federal official tells ABC News that all departures and arrivals at the airport are currently suspended until the situation is resolved. LAX Airport Police said security has been increased in terminals and baggage areas in response to the Ft. Lauderdale shooting. Bob Hope Airport in Burbank also said security measures were increased as a precaution. Authorities said there are no threats to Southern California airports following the deadly rampage in Florida. There are six arriving and six departing nonstop flights between LAX and FLL scheduled for Friday. Passengers are advised to check with their airlines regarding flight status.